Drama – A story written to be performed by actors. There are several different forms of presenting a drama; each has a very specific format. Plays have a very simple format; teleplays, for television shows, or screenplays, for movies, have more complex and strict rules for formatting. The first dramas to be written for the express purpose of being performed were created by the Greeks. Many of our modern drama terms derive from Greek origins. Comedy – In the Greek sense, a play that doesn’t end in death. In modern usage, refers to a play that is humorous. Tragedy – In the Greek sense, a play that ends with the death of at least one of the main characters. In modern usage, refers to a play that doesn’t have a happy ending. Script – the written text of a play. Usually includes a list of characters that appear in the play with a brief description of what the character is like (Dramatis Personae), brief descriptions of the sets or setting, and the lines the characters will speak. Stage directions – a description (as of a character or setting) or direction (as to indicate stage business) provided in the text of a play, usually indicated with italics and/or parentheses. May indicate where the scene takes place, what a character is supposed to do, or how a character should deliver certain lines. Enter – A stage direction – tells the character(s) to come onto the stage. Often includes a direction (left or right) or additional information about how characters are to enter the scene. Exit – A stage direction – tells the character(s) to leave the stage and the scene. Often includes a direction (left or right) or additional information about how characters are to leave the scene. Scene – a subdivision of an act; usually, a scene indicates a specific location or time, and changes if another location or time is supposed to be presented. A scene usually ends when all the characters in the scene leave the stage. Line – Shakespeare’s plays were written in blank verse (unrhymed iambic pentameter, 10 syllables per line); as in a poem, a line might end though the sentence continues. Current copies of Shakespeare’s scripts usually have numbers listed in the margins of the pages so readers can find lines quickly. 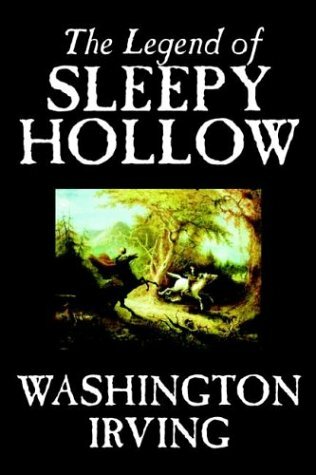 Full video of "Sleepy Hollow"